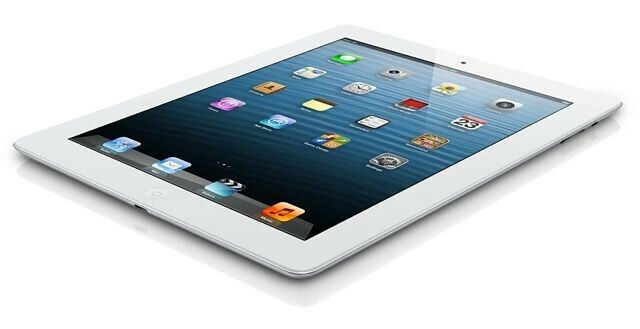 Not too long after it was apparent that Apple had pulled YouTube from iOS 6, Google introduced an app for the App Store that was meant for the 3.5 inch screens of the then current Apple iPhone models. But the results on the the Apple iPad were not that good as the videos were not as clear as could be. On the Apple iPhone 5, the larger screen created two black spaces on either side of the video while in landscape mode, creating an eyesore. 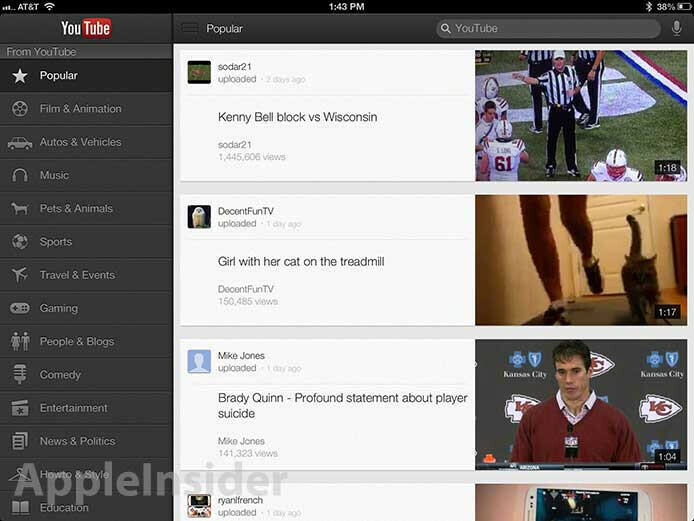 The good news is that Google has put an end to these problems by releasing a new YouTube app for iOS devices. The app will provide edge to edge coverage in both landscape and portrait mode for all models of the iPhone, including the Apple iPhone 5, and for all versions of the Apple iPad. Some other new changes include support for Apple Air Play, which allows video to be streamed. Tap the YouTube logo to see a guide for the channels you've subscribed to and you can now add or remove videos from your playlist. Clickable links have been added to the description of videos and there is improved accessibility with VoiceOver. 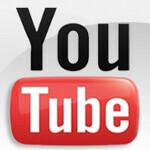 The new YouTube app weighs in at 11.6MB and is a free download from the Apple App Store. Not trying to be a Apple fanboy but Apple was founded 20 years before Google sooo ha yea... But like no one knows what the world would be like with out these companies. yup that's true. But Jobs leaving apple, it crashed down. (that's without google yet) Same thing will happen now. Apple without Jobs (and removing google to their system). 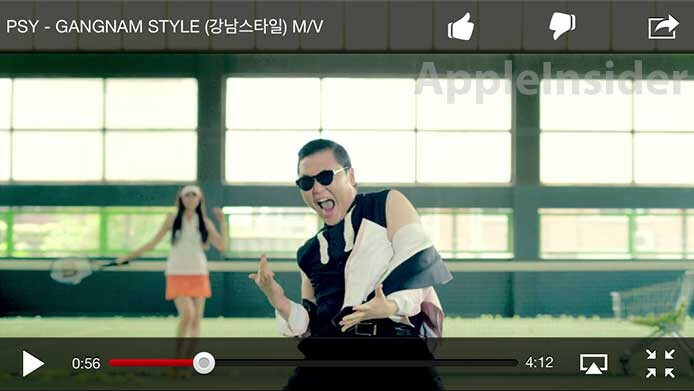 Am I the only one who thinks the Gangnam Style song is saying "Open condom style!"? Lol I can only imagine. No I haven't seen anything past the original video. Their stated goal is to bring their services to all platforms, even those that are competitors. It isn't as easy as clicking a button that says "Convert program to work on WP." I'm sure they're working on it. Just be patient; there will be a day when WP gets Google love. I don't think the word "introduces" was appropiate for the title... but whatevs. Thanks Google. You really done a great job! people act like youtube doesn't work without an app. Thanks Google...just downloaded the Youtube app in my iPad 2.